Texas is full of public and private caves and here is a list of caving clubs and organizations in Texas. 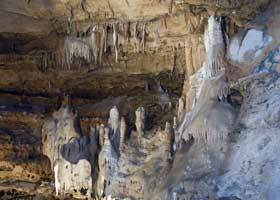 Make sure you also check out the Texas Caves page to find some caves to explore. A Grotto is usually an internal organization of the National Speleological Society (NSS). The Texas Speleological Association (TSA) is a not-for-profit organization that supports cave exploration and cave studies by cavers in and around the state of Texas. It is an internal organization of the National Speleological Society (NSS). "Cavernet" is funded soly and maintained by Bill Bentley and is dedicated for the advancement and enjoyment of cavers throughout the world. The program offers semester long training in both caving and rock climbing as well as weekly activities such as mountain biking, kayak rolling and wilderness first aid. Ongoing projects Endless Cave Survey, Eddy County, NM on the last Saturday in odd numbered months. Other full teams welcome to help. Meeting time and place Second Tuesday of each month at Smokey's Ribs, 5300 E. Lancaster, F. Worth 7:00pm. Ongoing projects Maintaining and Cleaning of local caves, Monthly Work Trips to Carlsbad, Vertical Certification of Members. Infrequent meetings. Organization's purpose is locating caves in the area in cooperation with the TCC. Recruitment and training. Hays County Cave Project co-sponsored by TSS which includes updating information in the Hays County file, checking & digging new leads and surveying caves. These are autonomous caving organizations which cooperate closely with the TSA (Texas Speleological Association) and each other for the betterment of Texas caving. The "Permian Basin Speleological Society's Newsletter" and The Hole News are the unofficial newsletters for several of these organizations to communicate with Texas cavers. BCI is a non-profit corporation promoting bat conservation, education, and research. TCMA is a nonprofit organization that works with associates and partners to acquire and manage caves and karst and to protect caves, cave life and the aquifer as related to caves. TCMA actively works to conserve caves, promote research and education, and provide responsible recreational access to our caves. 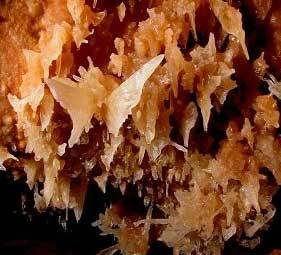 The Texas Speleological Association (TSA) TSA supports cave exploration and cave studies by cavers in and around the state of Texas.